In what can be termed as a threat to the Muslim community, Union Minister for women and child development Maneka Gandhi on Friday said that Muslim would not get jobs if they don’t vote for her. While addressing a rally in Muslim-dominated Turab Khani village in Uttar Pradesh’s Sultanpur, she said that she is winning the elections but she would be upset if Muslim don’t support her. It clearly is a warning to all the Muslim voters in the region that if they don’t vote for her, they will have a hard time later. Maneka Gandhi’s speech has already gone viral and people are criticising the leader for such a “communal” statement. “#SCANDAL! 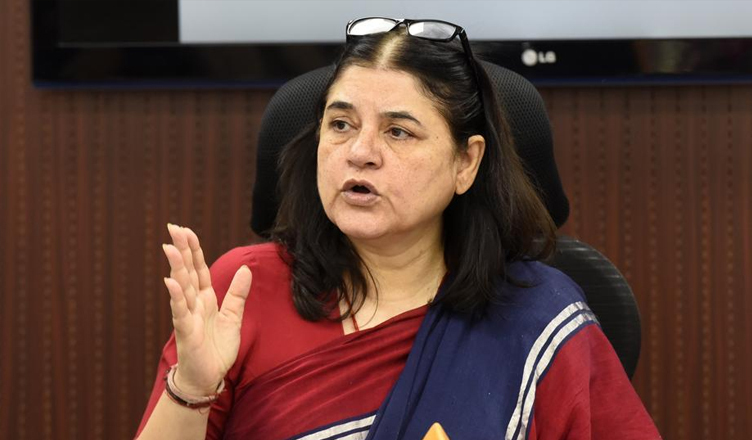 Naukri ek sauda hai says #BJP’s #ManekaGandhi. Dear Demographic Dividend India, now you know why India has an unemployment, #jobs crisis. For #BJP, providing jobs is a commercial deal; you have to help them first to get a job. A quid pro quo. It is a barter, give & take,” Congress leader Sanjay Jha tweeted. We only want to ask if the Election Commission (EC) is listening?